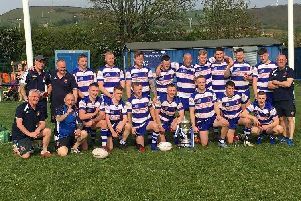 Mytholmroyd CC’s new captain Jacob Travis reckons winning a fourth successive Spenser Wilson Halifax League title will be “a stroll in the park” for their Calder Valley rivals Booth this season. That assessment - gamesmanship or otherwise - is unlikely to go down well with his Booth counterpart Richard Laycock, who will no doubt be preaching a very different message to his players ahead of the opening Halifax League fixtures on Saturday, April 20. Travis, who has made the very unusual step from club chairman to first skipper, believes Booth’s capture of Matthew Hoyle from Sowerby gives Laycock’s side a very strong hand to play. Royd were keen to sign the seamer but instead Hoyle has opted to join a Booth line-up already rich in bowling talent. Wicketkeeper Travis believes that could be all-important with new overs limits introduced for bowlers in 2019. “I do expect Booth to walk it - a stroll in the park,” he said. “They have five or six bowlers, which will help with the change in the rules, and also a good batting side with the likes of Rob (Laycock) and Raider (ex-Royd player Steve Senior),” he said. Travis believes Royd could face a challenging season with Jack Earle likely to sit out the whole campaign following a second reconstruction of the same knee. Earle has led the bowling attack with distinction and also opened the batting to great effect in recent times. “He is the best all-rounder in the league and losing him is a massive loss,” said Travis. Earle sustained the injury fielding late last season and has been urged by his teammates to take the whole season out. Travis said “Big Jack” faced spending match days in the score box. It is far from all doom and gloom at Royd, however, with Travis hoping to announce four signings once the paperwork has been processed. He hoped the recruits - a batsman, a bowler and two all-rounders - would ensure Royd were competitive in a division which he believes could be stronger this year following the promotion of Illingworth St Mary’s and Sowerby Bridge. “It is going to be tough. Four or five teams may be battling to staying up and that probably includes us,” he said. Travis has taken the reins after Tom Earle and Adie Gawthrope had spells as skipper in 2018. Tom Conway will be the vice-captain.